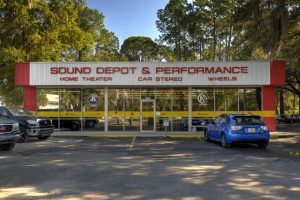 Sound Depot and Performance in Gainesville proudly announces the availability of the new Kenwood DDX6905S multimedia receiver. 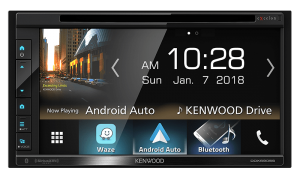 This 2-DIN receiver features a 6.8-inch touchscreen display, Apple CarPlay and Android Auto smartphone integration and support for all your favorite high-resolution audio files. If it’s time to upgrade the technology in your car, truck or SUV, the new DDX6905S is a perfect choice. Apple CarPlay and Android Auto make it easy to send text messages, make phone calls and choose the music you want to hear using the voice recognition technology built into your smartphone. You can even get detailed turn-by-turn navigation instructions to the destination of your choice with Apple Maps and Google Maps. The Kenwood DDX6905S will play store-bought CDs and DVDs, as well as discs containing MP3, WMA, AAC, WAV, FLAC or Vorbis audio files or MPEG1/2, MPEG4, WMV, H.264 or MKV video files. The USB input adds support for high-resolution DSD audio files and is compatible with FAT, exFAT and NTFS file systems. The 6905S includes Bluetooth 3.0 and allows two phones to be paired at the same time. Bluetooth audio streaming with folder navigation and album art display is included, thanks to the inclusion of A2DP and AVRCP 1.5. The system includes a 13-band graphic equalizer, adjustable slope high- and low-pass crossovers and signal delay adjustments that allow us to fine-tune your audio system for amazing detail and realism. 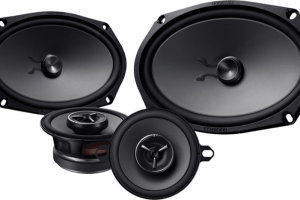 Dedicated front, rear and subwoofer preamp outputs rated for 5 volts ensure amazing performance with external amplifiers. 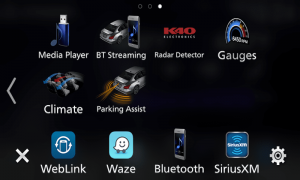 Kenwood leads the industry with support for Maestro vehicle integration solutions. 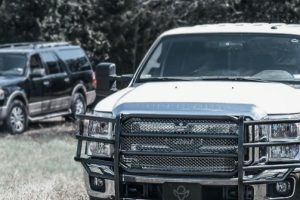 Depending on your vehicle, Maestro allows factory-installed backup cameras and multimedia playback systems with steering wheel controls to work seamlessly with your new radio. 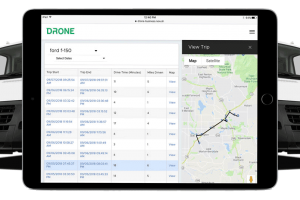 You can even see vehicle information like speed, engine RPM, fuel levels and more in real-time. 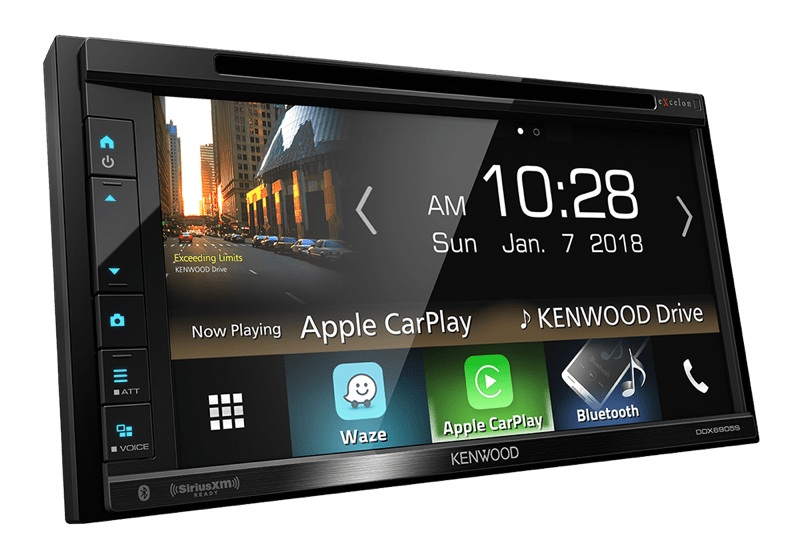 If you’re looking for an amazing multimedia receiver with all the bells and whistles, drop into Sound Depot and Performance in Gainesville and ask to see the latest multimedia source units from Kenwood. For more information, give us a call or send us an e-mail using our contact page.